BACnet is not a simple protocol and requires extensive testing to ensure compatibility between devices. The BACnet Testing Laboratory (BTL) provides testing and certification for BACnet devices to ensure that there are no compatibility issues between different manufacturers’ BACnet devices. Sending a new BACnet device to the BACnet Testing Laboratory (BTL) for certification can be a daunting task. Each issue or error that BTL discovers throughout the testing process will add variable costs and delays. Depending on how long it takes your team to resolve the issues discovered during testing you may be bumped from your testing slot and have to wait for the next available testing slot. 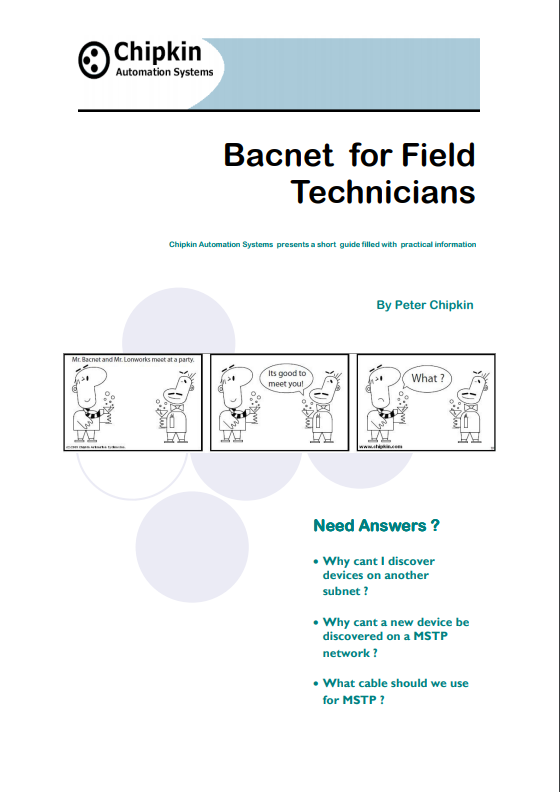 Take it from us, we have been working with BACnet for 20+ years. Our BACnet Stack Resume includes 10+ years of development, 25,000+ commits, 50,000+ lines of code, 2,500 unit tests, 50+ devices using the stack and among other capabilities, 1,000,000+ device installations. We know what we are are doing. On top of that, we are also part of the BACnet Testing Laboratory Working Group. Purchasing BACnet BTL Pre-Testing from us will save you thousands of dollars in mitigated errors and prevent delays. Let us handle the grunt work, BACnet Spec is complex and meeting all specifications error free is virtually unheard of. Because we have also built the stack to be BACnet spec compliant (we do things according to the BACnet spec. ), No device that used our stack has ever failed to receive the BTL Certification (BACnet International BTL) by the BACnet Testing laboratories. We do things the right way from the start! Chipkin are BACnet experts! With over 20 years of experience working with and creating BACnet devices. Chipkin has been going to the BACnet plugfest since 2009. Chipkin has a proven track record of successfully going through the BTL process many times with customers’ devices and our own devices. 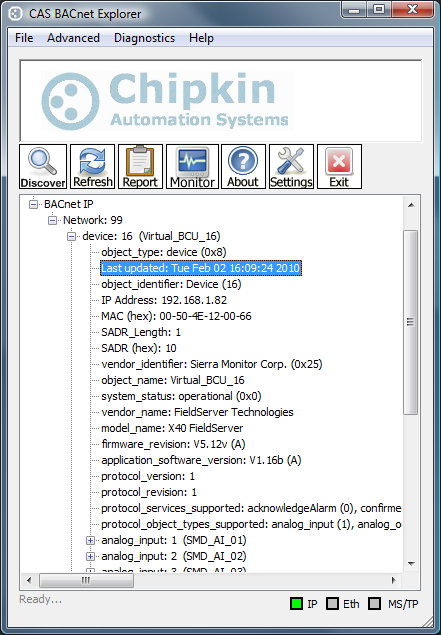 Chipkin uses custom automated testing tools that mimic the BTL tests to quickly and reliably test the device for issues after each change. This can dramatically reduce the iteration time if an issue is discovered. 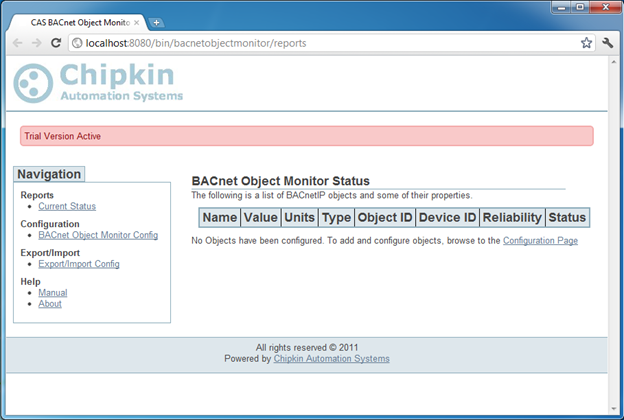 Chipkin can describe BTL procedures, tests, as well the BACnet protocol spec in plain English for anyone to understand. Chipkin will help you with the BTL documentation required for testing, including; EPICS, Test plan, and other BTL required documentation. Chipkin is part of the BTL Working group, working with other volunteers to design the tests uses in BTL. FREE CAS BACNET EXPLORER WITH THE PURCHASE OF A BACNET BTL Pre-Testing!